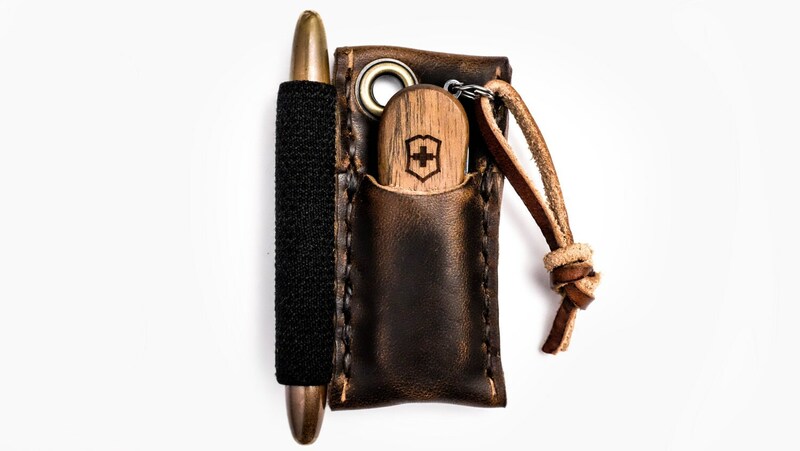 The "Micro Runt" is an EDC slip is built to keep your everyday carry gear organized and accessible. 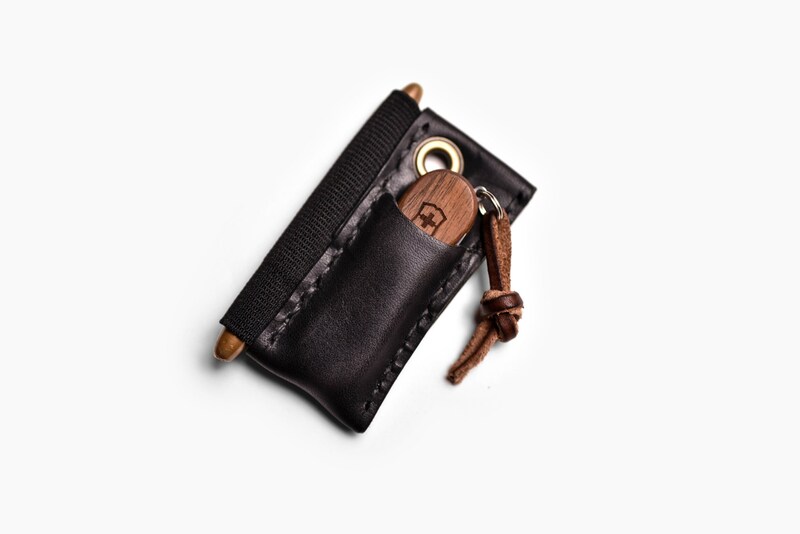 Keep your knife & tools protected in this American Made tool slip with grommet. 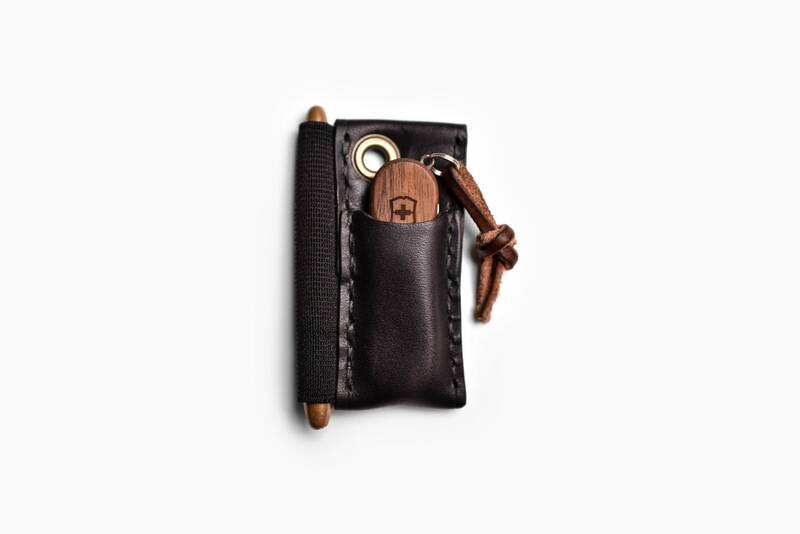 This leather tool slip is made to order. The pen holder is made from a high strength Mil-Spec elastic manufactured in the USA. 58mm Swiss Army Knife, Classic SD to Minichamp, Alox models as well. Dimensions in inches: 3" x 1 1/2"
Leatherman PS series or Micras. Dimensions in inches: 3" x 1 5/8"
Incredible quality. 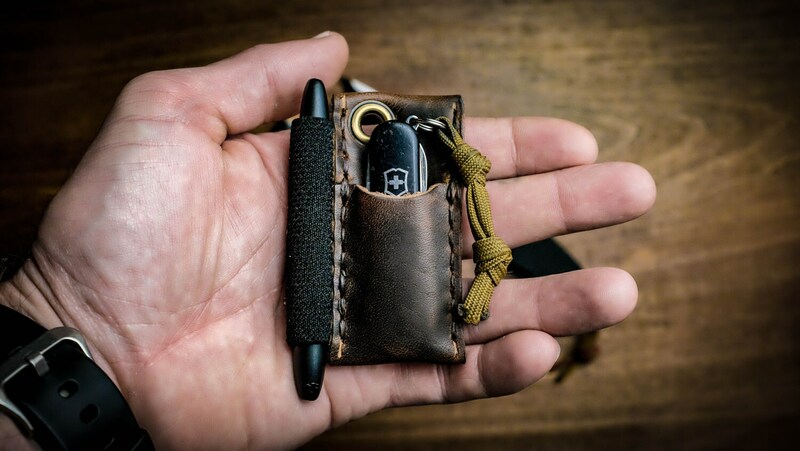 Bought another pocket carrier on Etsy and was sorely disappointed. Opened the package and immediately gave it to my coworker. 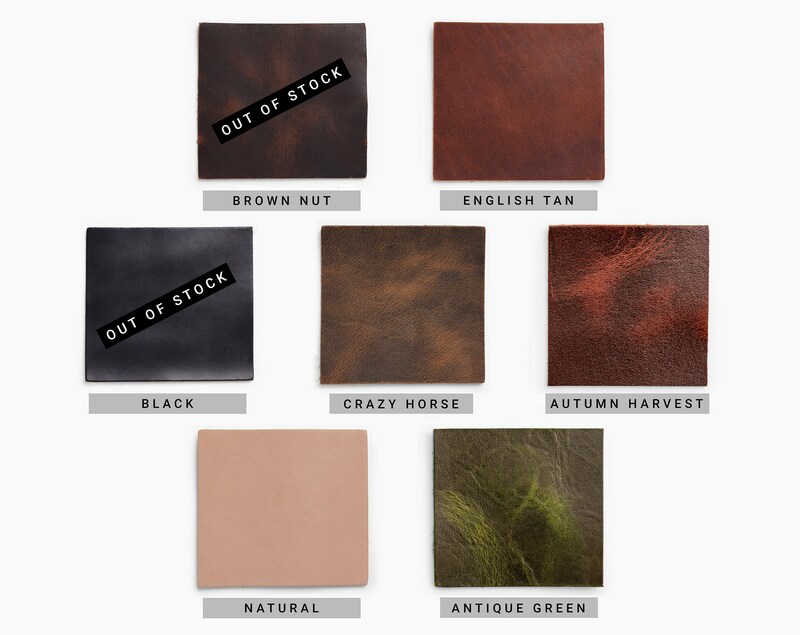 This is high quality leather. Firm leather. My Kershaw Spoke fits perfectly. This is beautiful. Fits my leatherman squirt ps4 and a fischer space pen bullet perfectly. (It even fits a Victorinox pair of tweezers, as shown in the top right corner). The color was quite a bit brighter when it arrived, but it has taken a beautiful patina. Will order more products from Hitch & Timber. PS: the picture does not do it justice. It is not as «stubby» as shown. It is a bit longer and narrower. The photo app used did something to the picture after it was taken. Fits my double pump perfecty ! really happy with my purchase- thanks making my runt without the grommit hole. 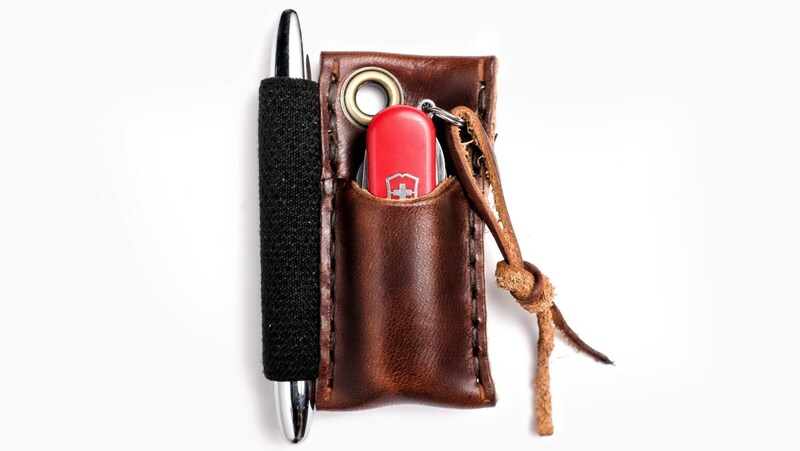 I use this to carry my folding reading glasses and a Fisher Space Pen... it works perfectly. Thank you!